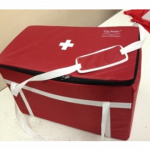 First aid kit ship type “AS-2013/499-984.” Designed to equip ships. 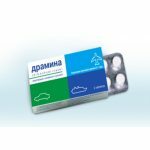 Medicines and medical devices are included in this first aid kit are all necessary quality certificates. 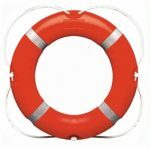 Lifebuoy is heavy (4.0) equipped Light & Smoke Buoy provides detection range, as in the dark as well as in the daytime-fed light and orange smoke signal. 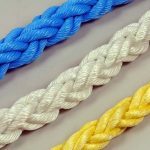 The product shall be delivered with Russian Maritime Register of Shipping. 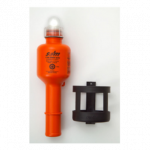 Lifebuoys lightweight (2.5) can be equipped with luminous buoy providing a range of detection in the dark-signal supply ship. 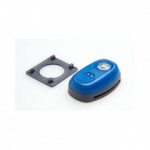 They feature twin chambers for double security and each chamber can be inflated via its individual Lalizas automatic operating head (20260, certified per ISO 12402-7), which also supports manual activation. 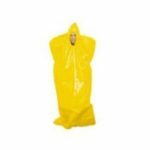 The inflatable chamber, which is made of High Visibility Yellow fabric, is folded into a valise with Velcro closure and its inflation tube incorporates the new Lalizas red pressure relief valves (20611, certified per ISO 12402-7). 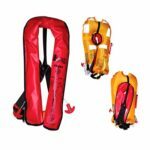 These extra user-friendly lifejackets, provide the maximum safety thanks to their fast inflation ability, even at very low temperatures and are available in one adult size, which can be easily adjusted to passengers with chest size up to 175cm or more, with the use of the Lalizas waist belt extender (71161). Created with the latest technology and high quality comfortable vest 275N. Camera Twin 275N MSC 200 (80) / SOLAS approved vest uses 2h60 of cylinders with symmetrical inflatable chambers. 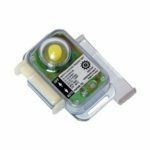 It complies with ISO 12402-8. Approved to EN 361 with the FA belt. 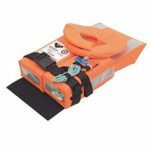 Double chamber inflatable lifejacket Crewfit Twin 2010 (275N) not used with the diving suit. 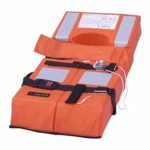 Type PV9505 Viking life-saving equipment A / S Denmark. 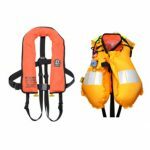 The total buoyancy vest: 170N; Weight vest: 1.00 kg. Made of durable nylon fabric of bright orange color c of refractory impregnation; filling: polyurethane foam; equipped with reflective strips; vest is suitable for operation at ambient temperature of up to + -15⁰S 40⁰S.Svistok sea execution is securely attached to the vest; Search fire (optional); releasable buoyant line; simple and reliable carabiner clasp, safety belts; lifeline. Dimensions unfolded: 71h32h15 see. 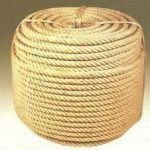 Used in case of eye foreign bodies (metal or wood chips, dust, dirt). Vials containing a sterile solution of sodium chloride (0.9%). Buoy glowing lifeline designed to indicate the location of a life buoy in poor visibility conditions. Approved in accordance with the EU. 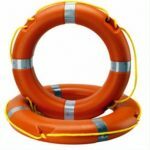 Lifebuoy marker in accordance with SOLAS 74/88. 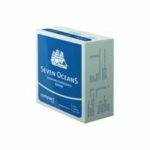 Emergency food ration “Seven OceanS” company – is pressed diet in the form of a block weighing 500g. It is based on a specially designed composition of the components required for complete nutrition. 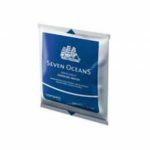 Emergency drinking water company “Seven OceanS” packed in half-liter bags of a material containing aluminum. 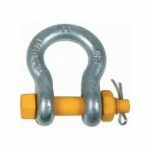 This package provides the highest strength. 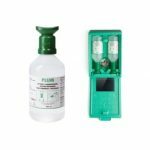 To facilitate dosing, a half-liter package divided into the 5 divisions for 100ml each. 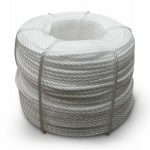 Easy and flexible packaging does not take up much space and can be stored in the liferaft. Thermal protective aid used to restore the the human body temperature, elevated from the cold water, and protect him from hypothermia. 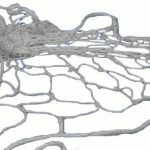 It reduces heat loss through the human body and evaporation of the Convention. Grids used for ensure the safety of personnel in the use of ladders. 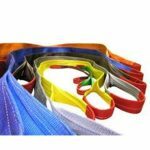 Freight lines on a textile backing made of high-quality polyester tapes and used as lifting devices for lifting of various loads in industrial, transportation and warehousing enterprises.